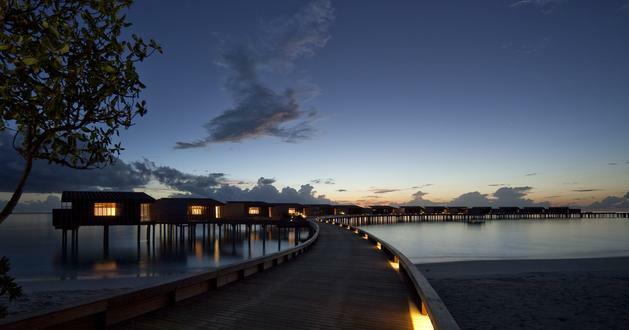 The Park Hyatt on Hadahaa Island in the Maldives is gentle on the earth. The design and construction were guided by environmental impact studies prior to implementation. 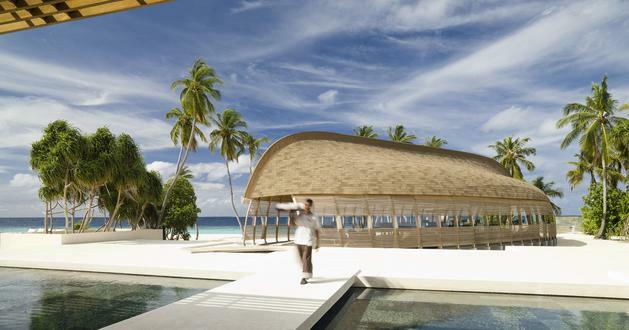 To complement the spirit of environmental stewardship, the design promotes rainwater harvesting, minimises disruption to the corals around the island and preserves and reinforces the existing foliage of the island. Waste treatment plants ensure that pollution of the island is minimised. 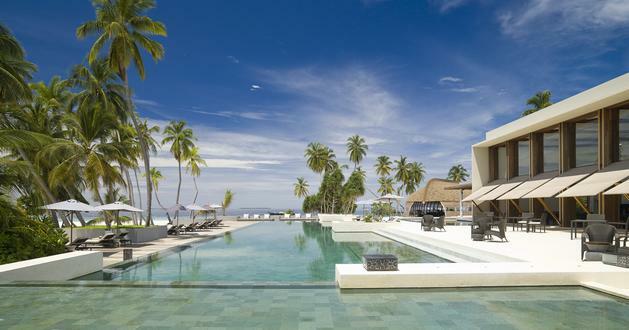 The Park Hyatt is the first resort in the Maldives to receive Green Globe certification for Building, Planning and Design Standard. 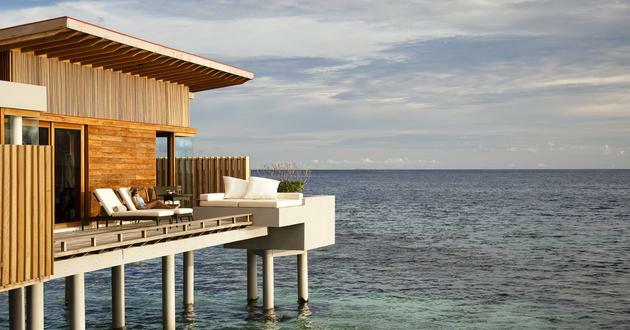 In conceptualising the resort, one of the main challenges was how to locate and insert the program of villas and public facilities without disrupting the natural flow and equilibrium of the existing island and sea environment. 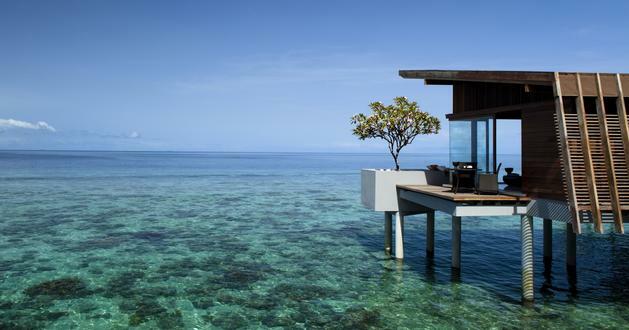 A suitable construction method was needed to support each sea villa that would ensure the preservation of the existing corals – finding this method was intrinsically linked with the approach to the planning and design of each villa. The resort is inspired by local, indigenous forms together with a rational exploration of the needs of guests for comfort and privacy. 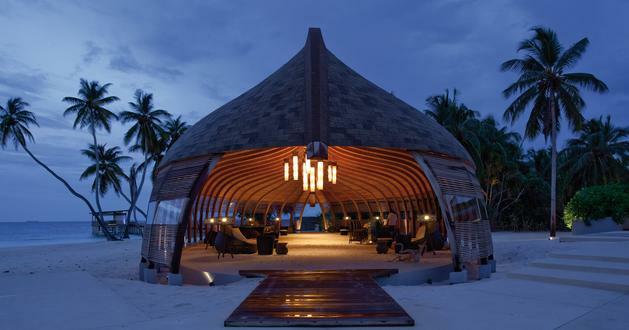 The form of the main arrival space is inspired by the Maldivian Dhoni boat, traditionally used for inter-atoll navigation. The boat has a distinctive ribbed timber hull that was turned upside down to create a sheltered reception area. Traditional craftsmen were used to create the Dhoni hull, ensuring that it was authentic in its use of timber sizes and details. 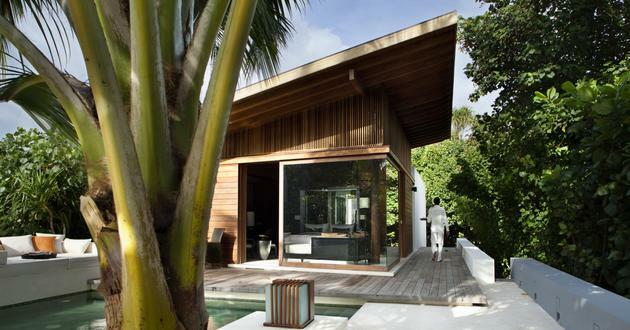 The design of the villas is kept clean and simple, with the focus being the framing of views while maintaining privacy. Timber roof rafters wrap around a simple living block to become vertical privacy screens, which shade and protect an open timber deck and seating areas. The environmental and cultural sensitivity of the island were carefully researched and understood prior to the conceptual design stages, so that an appropriate response to the site was implemented. Cultural integration has been a key consideration of the resort throughout both its construction and operational phases. Locally available resources, labour and materials have been used wherever possible.